Hi! I'm Colton! ...and my pals call me Baby Bear. Maybe it's because I look like one? 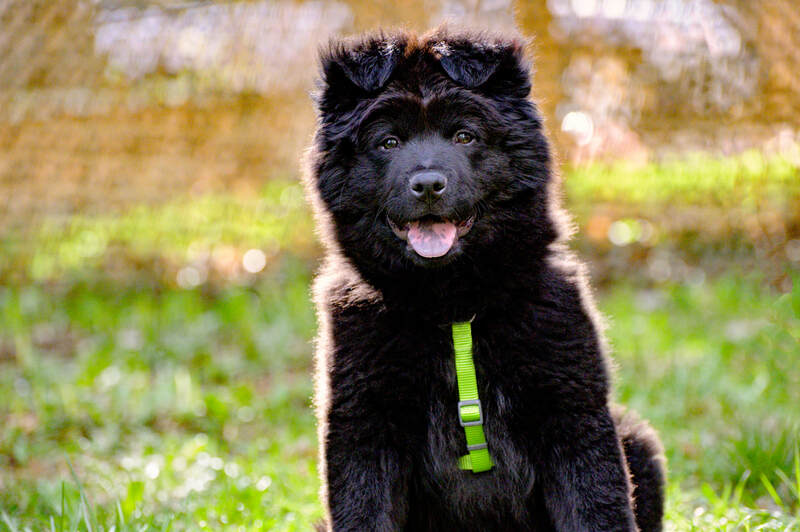 I'm about 3 months old and I'm a Chow Chow/Spitz mix, which makes me a ball of lovable fluff. I love to play in the yard with my foster sibs, and I love all kinds of dog toys! I'm up to date on my doggie shots and I'm neutered. "Meet Colton! He is approximately 3 months old and as adorable as they come. We are just getting to know him. Strong preference given to Boulder County area applicants. So far he is a happy, wiggly guy who loves to play and seems rather confident (so far). He likes the other dogs in the house, and the cats. He does not like the crate at all - so we are slowly introducing him to the crate and trying to make it a happy place. No apartments either (sorry!). He does have a speckled black tongue so our best guess is a chow mix at this time. Stay tuned on facebook for more updates." I'm new to Summit Dog Rescue and they're learning more about me every day, so check back here soon. In the meantime if you want more info about me, go to the top toolbar, click Adopt, click Dog Application; then fill it out and send it in. A nice volunteer for Summit Dog Rescue will get back to you as soon as they can.